These tests were pretty useless because there is no injection at all, but at this time, we didn’t knew it. Our tests were mainly based on the group parameter. By changing it, the server replied us with some error numbers. By checking the error on the interwebs, we can see that error 1044 is when we try to connect to an inexistant base. The interesting thing here is that playing with the group parameter gives us PDOException. Moreover, during our tests, we saw that sending “users;” to the server didn’t replied us with some “STAHP DOING DUMB THINGS” Exception. Well well well… “;” doesn’t crash, we have some PDO Exceptions… We dediced to check the PHP doc for the PDO class. Oh. Wait. What? Did you saw it? The vuln! It’s here! In front of us! Since the beginning! The group that we send in the auth request. It’s obviously the dbname! So… If we try to inject more parameters into the dsn ? Like, for example… a specific host! But we now know how to pwn the authentication! We just need to set a mysql instance and let the script connect to it. Wonderful! 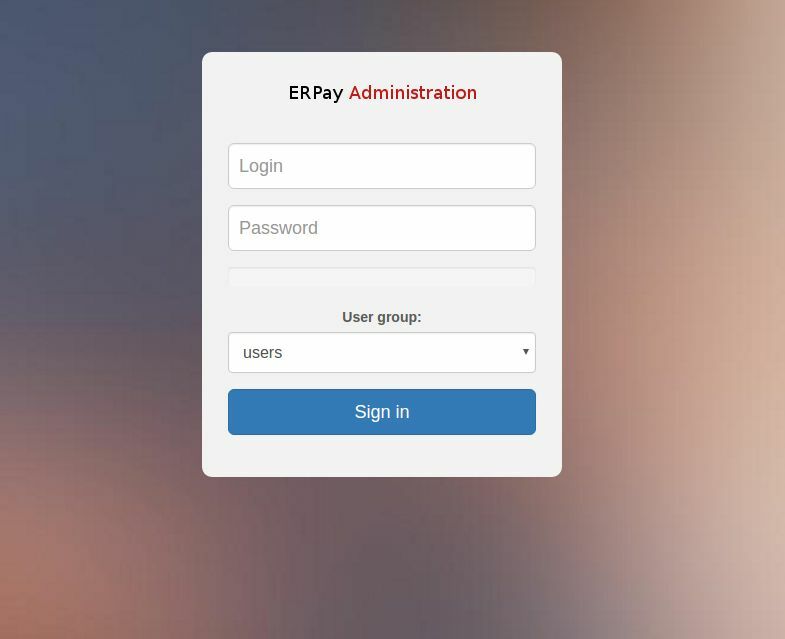 We now can create an erpay user, and after some configuration, we saw the auth query coming. 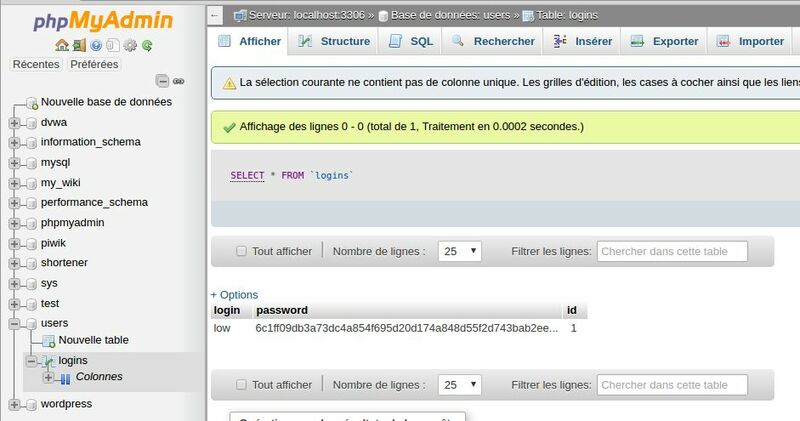 The last step was to create a table named logins, with three columns: id, login, and password. OK, now, everthing is set up, we just have to send the authentication request to the web server, and here it is! Sorry for the delay, I didn’t saw your comment. – Finally, I used a network sniffer. I tried with the tcpdump like tool that was on my firewall, but it was a bit messy, so I used wireshark, which was installed on the computer which ran mysqld. Your write-up is very useful. It helps me to improve my knowledge. I’ll try it! Hi, nice whrite up ! But i want to make sure I understand. In fact you add one parameter to the $dns string to set the host as your sql server, so when you send that request to the formular it will try the ath on your own sql server so the ath is granted and the web server send you the response with the Flag ? As the PDO class cannot connect to multiple hosts (which is quite logical actually 🙂 ), it will choose the first IP : mine! Then, I have been a bit lucky. During the first test, I saw, that the PDO class tried to connect onto my SQL instance with the user “erpay” (as seen on the wireshark screenshot). 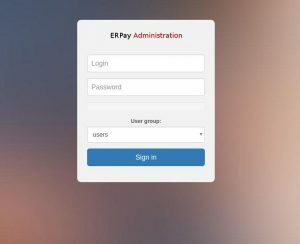 So I just created an SQL user “erpay” with a password “erpay”. The last step has been to look at the attempted request, create the same table, and relaunch a last time my test. With the good table/fields, the requests was OK and the flag have been written onto my SQL instance.